Sarsen Circle > Stonehole E > Sarsen Trilithons > Beaker burial > Bluestone Circle > Bluestone Horseshoe > Z Holes > Y Holes. The probability of this is though only 27%. Stonehole E > Sarsen Trilithons > Beaker burial > Bluestone Circle > Bluestone Horseshoe > Z Holes > Y Holes. The probability of this is only 31%. Sarsen Circle > Stonehole E > Sarsen Trilithons > Beaker burial > pit_WA_2448 > Bluestone Circle > Bluestone Horseshoe > Z Holes > Y Holes. The probability of this is though only 13%. 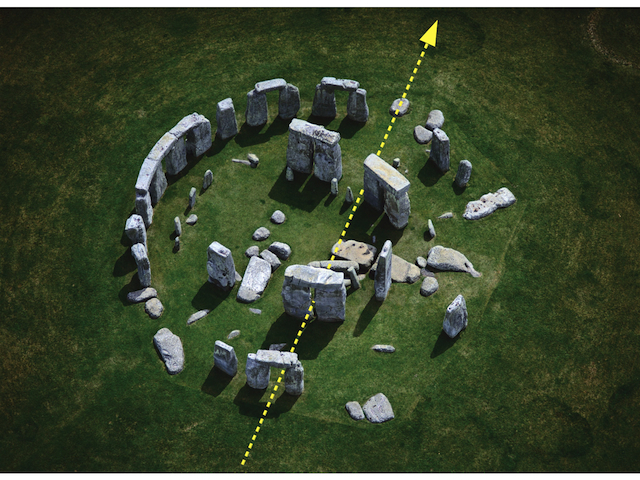 All three chronological models for the stone settings at Stonehenge presented above have produced stable model outputs with the prior beliefs they contain being compatible with the available radiocarbon dates. Thus, although the statistical models have allowed us to combine different types of information, we ultimately still need to use archaeological judgement to decide between them. The models are all based on the belief that the major settings are the product of single (relatively quick) unitary episode of activity rather than the result of longer and more piecemeal episodes of construction (Bayliss et al 2007b, 46). Given the limited number of samples available at present such an assumption remains the only pragmatic way of modelling the chronology. 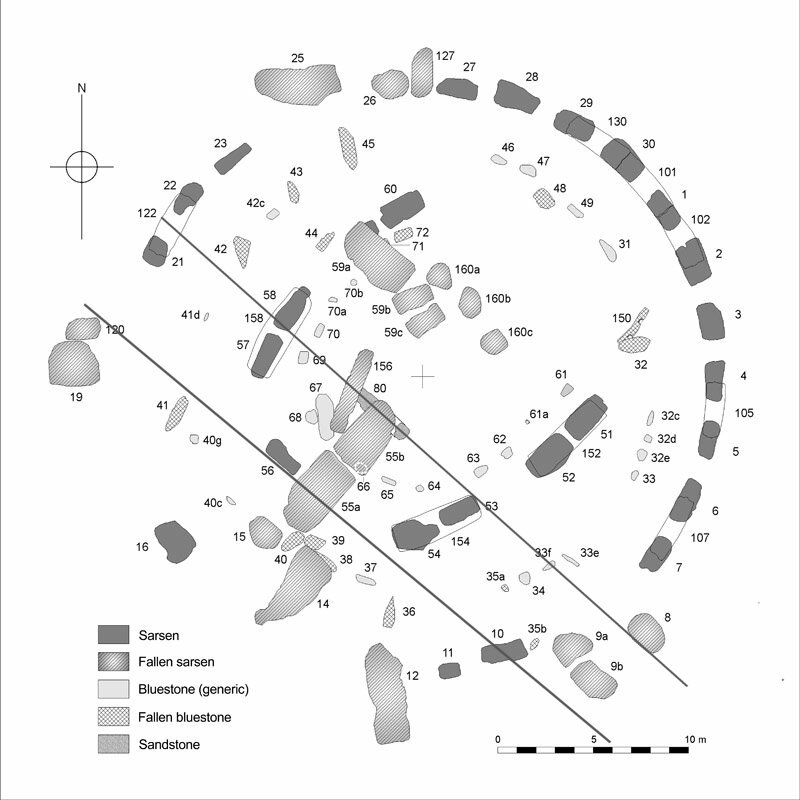 Sensitivity analyses have highlighted the key component of these models that determines the differences in the monuments chronology is the relationship between the Sarsen Circle and Trilithons. The choice of a preferred model is therefore at present a simple matter of archaeological interpretation, and without further excavation to provide more samples associated with the major constructional events (for example the Sarsen Circle), reaching agreement is likely to be some way off. Model 3 is our preference for the chronology of the monument because it incorporates what we believe to be the most reliable reading of the stratigraphy of the stone settings (Darvill and Wainwright 2009, Darvill et al 2012; Parker Pearson et al 2007, 2009). Stonehole E is by the Slaughter Stone. The probabilities only add up to 71% which indicates there is still a large amount of uncertainty in the results. Stonehenge. An article on “The Case of Attorney-General v. Antrobus” in Evening Standard, reprinted in Wiltshire Advertiser, April 27th, 1906, praises Sir Edmund Antrobus’s efforts for the preservation of the monument. It states that up to January 1st, 1905, £980 had been taken at the gate, and £960 had been expended on the care of the stones and the payment of caretakers. 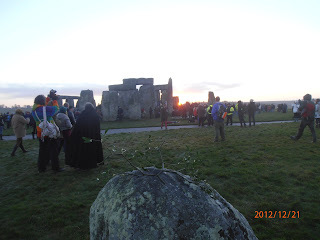 Stonehenge Winter Solstice 2012 provided an opportunity to test my theory that the Great Trilithon is deliberately skewed in relation to the rest of the trilithon horseshoe. That not only does the central gap allow the midwinter sunset / midsummer sunrise to shine through but also the angle of the whole trilithon aligns to the midwinter sunrise / midsummer sunset. The summer solstice this year was too cloudy to observe the sunset but the winter solstice sunrise was unusually clear. I positioned myself behind Station Stone 93 and waited. Success! Click any photo to enlarge. 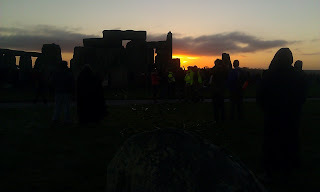 The sun rose as expected behind Stone 10 in line with the Great Trilithon alignment. Checking my position in the light I was probably about 50cm too far south, but I was competing with other photographers on a very busy morning for the shots. 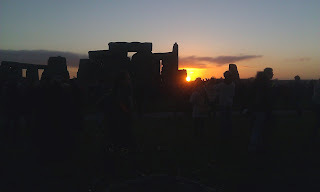 As Clive Ruggles writes in Proceedings of the British Academy, Volume 92: Science and Stonehenge - edited by Barry Cunliffe & Colin Renfrew 1997: "In the literature on archaeoastronomy, declinations are often quoted to a precision of 0.1 or even greater. However, the quality of the material evidence, together with the fact that the horizon around Stonehenge is relatively close (Cleal et al. 1995, 37) and devoid of prominent distant features interpretable as accurate foresights, do not justify considerations of declination to a precision much greater than the nearest degree, or approximately twice the apparent diameter of the sun or moon. To do otherwise is to risk obscuring any intentional, low-level astronomical effects with meaningless detail." To within that accuracy and bearing in mind that Stone 56 was re-erected in 1901 by Gowland and so may be an inch or two out of its original position I am happy to state as a fact that the alignment I theorised actually is there. I have mapped his alignment and mine below. His is the top one, that also travels down the length of the Altar Stone. I'm happy they are similar and accurate enough to be accepted as evidence. A new report on the Antiquity paper on the dates of Stonehenge. 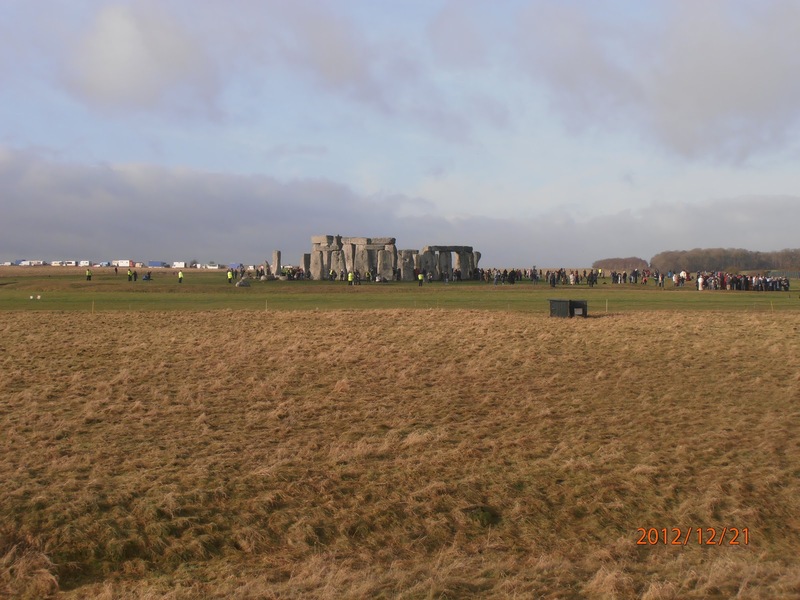 My reading of the paper - Antiquity Vol 86:334, 2012 pp 1021-1040 - Timothy Darvill and others - Stonehenge remodelled - doesn't give me that certainty that the bluestones arrived after the sarsens. I think it still embraces the possibility that the bluestones were on site before the sarsens, it specifically mentions that Bluestonehenge might predate the sarsen arrival and that the Aubrey holes probably held stones (type unspecified). Of course Tim Darvill may not be being quoted accurately. I also don't like the use of the word "quarries" for the source of the sarsens. It implies they were dug out of the ground locally to Stonehenge and there is no evidence for that. No local quarries have every been found. Large sarsens are still found on the surface of the chalk downlands and deep in the clays of Bedfordshire and further afield. In the absence of any other evidence the use of surface sarsens mainly from the Marlborough Downs is the most justifiable theory. Think carefully about what valuables you normally carry and leave all non-essential items at home. 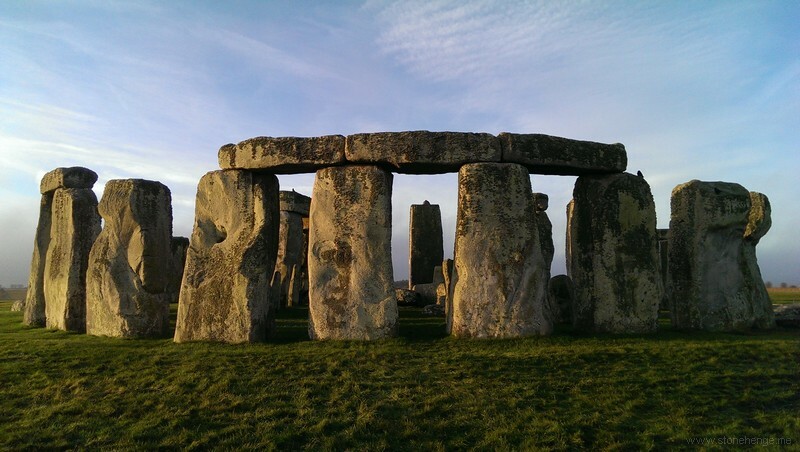 Whilst there is a lost property system, the nature of the access means that if you drop/mislay something at Stonehenge it might not be easily found or handed in. If you are bringing your mobile phone with you please keep it safe. Think of the hassle you would have if you lost it, or it was stolen. 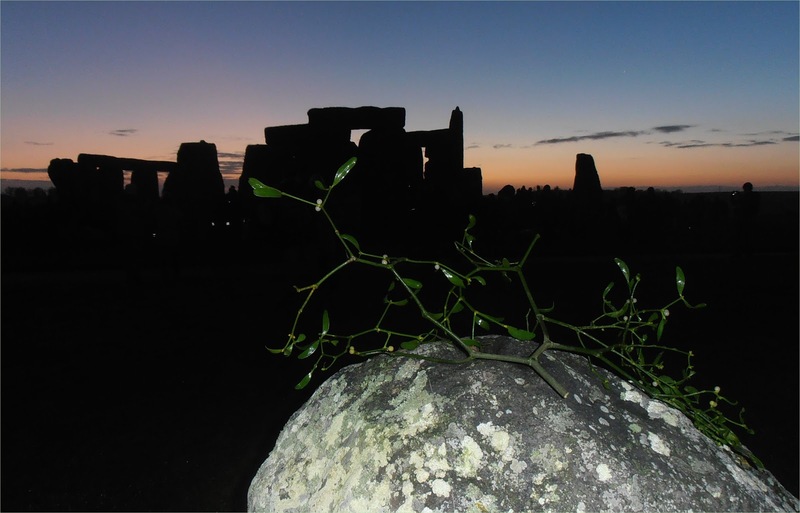 Please do not bring dogs, pets or other creatures – they are not permitted into Stonehenge, with the exception of registered assistance dogs. Apart from potentially upsetting wildlife and stock in the area, animal faeces present a health risk to children and also to people walking barefoot. Due to the large number of people in attendance, naked flame is extremely dangerous and it infringes local bylaws/regulations and constitutes a potential fire hazard, so please do not light any fires – this includes BBQs, flaming torches, candles, night-lights, Chinese lanterns or fireworks. 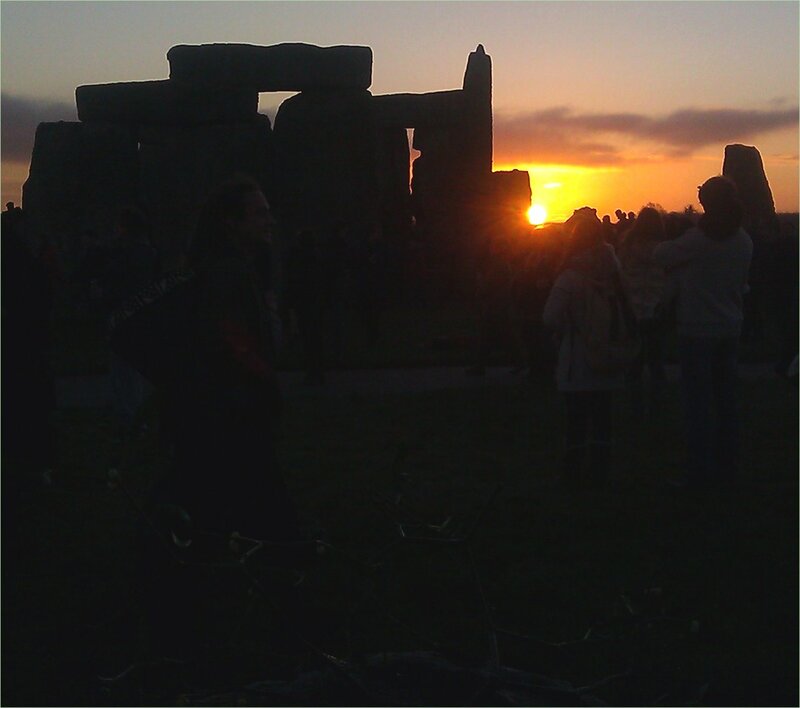 Stonehenge is a world renowned historic Monument and it is seen by many who attend the access as a sacred site. Amplified Music is inappropriate and will not be permitted at the Monument or in the surrounding landscape so please do not bring any sound systems or portable amplifiers. Acoustic instruments will be permitted. Illegal drugs are still illegal at Stonehenge as they are anywhere else. The police will be on site during the access period and will take immediate action against anyone flouting the law. As Stonehenge gears up for winter, we wanted to let you know we're making good progress with the new visitor centre at Airman's Corner. This time next year, work will have been completed and we'll be busy preparing for the opening. As you can see from the photo below, the visitor centre and the car park are taking shape behind the hoardings. The building should be water-tight by Christmas and a 'bird cage' scaffold will be used in the New Year to help install the delicate canopy roof. We've taken great care with the design and construction of the building - disruption to the ground has been kept to a minimum and we have used locally sourced materials wherever possible. We understand the closure of the A344 has raised some concerns - it's a vital change to help create a more tranquil and dignified setting for Stonehenge, but we are working hard to mitigate the impact. The Highways Agency is carrying out works to improve the capacity of Longbarrow Roundabout to cope with the diverted traffic (see details below) and the section of the A344 between Stonehenge Bottom and Byway 12 will only close when these improvements are complete in May 2013. The rest of the road will remain open until we move operations to Airman's Corner. Work is also underway to improve the Airman's Corner roundabout. During the construction, we're keeping the use of traffic lights to a minimum but some are needed to ensure safe traffic flow. http://community.novacaster.com/showarticle.pl?id=11334 has a brilliant animation of the new chronological stages of Stonehenge. 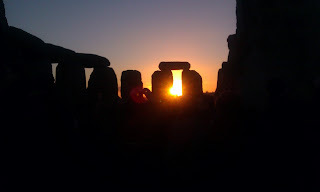 Antiquity magazine has a new article on the Chronology of Stonehenge. It is a much better article than the Press Releases suggest. I highly recommend it. In developing a new sequence, we rejected the idea of neat architectural phases, in favour of five main periods or ‘stages’, each of which embraces a set of activities related to a more or less coherent pattern of archaeological evidence. Dating each stage, of varying duration, involves dating the events and activities assigned to it. This entails a consideration of vertical and horizontal stratigraphy, associated finds, and synchronisms established through the dating of particular items, deposits and horizons. Naturally, some components can be assigned more confidently to a particular stage than others, and we have tried to make this explicit. Here attention focuses only on the evidence relating to the third and early second millennia cal BC.We retain all existing naming, numbering, and lettering of stones and cut features such as stoneholes, so that the revised sequence is easily comparable to all previous (and subsequent) literature. I thought it worthwhile to provide a table to facilitate that comparison. structure in the NE entrance; stones B, C and 97 outside the NE entrance. stone 96 (Heel stone). Ditch dug around the Heel stone (or early Stage 3). holes B and C. Digging and filling of the Heel stone ditch. bluestone circle in the Q and R holes, unfinished. horseshoe, sarsen circle, and the Slaughter stone and its companion. end, digging and abandonment, unfinished, of the Y and Z holes. bluestones in the present bluestone circle and bluestone horseshoe. between the trilithon horseshoe and the sarsen circle. Extensive use of Stonehenge with working of some bluestones into artefacts. Working floor and occupation outside the earthwork on the NW side. cal BC) to stones forming the sarsen circle and trilithon horseshoe. Construction of the Y and Z holes in the period 1630–1520 cal BC. Numerous round barrow cemeteries built in the surrounding landscape. Possibly some deliberate destruction of the stones. 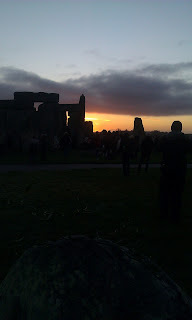 Mike Pitts reported, and I reblogged, that Antiquity magazine has a new article on the Chronology of Stonehenge. It is behind a paywall so we have had to rely on the Press Releases to what it actually says. But Brian John has an excellent article on the article which details its claims. To say he is unimpressed with the accuracy of the Press Releases compared to the actual article and to the "newness" of the discoveries is probably accurate. 2007 The age of Stonehenge. Antiquity 81: 617–39. 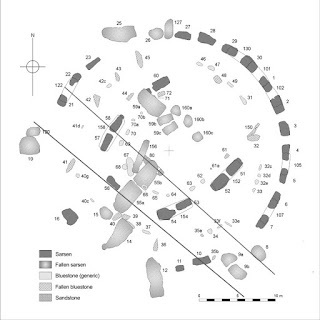 Thomas, J. and Tilley, C. and Welham, K. (2009) ’Who was buried at Stonehenge ?’, Antiquity., 83 (319). pp. 23-39. From the sheer engineering point of view I thought the consensus has always been the big five trilithons first, then the sarsen ring and then infill with Bluestones. It is hard to see how they could have erected the big stones if they had to work round the Welsh stones. So I see nothing new there. 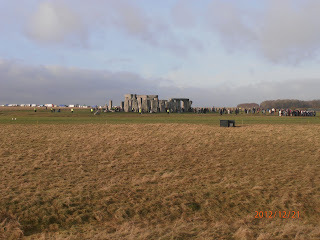 But what is new is the idea that the Bluestones were not onsite or had not been used at Stonehenge before. Not in the QR holes nor in the Aubrey holes, nowhere. Without access to the paper I don't know what they base this idea on. Gowland's report from 1901 describes in detail the stones found when he dug round Stone 56 and under 55. He found Bluestone chippings at depth in all the holes, suggesting that the stones were erected when there was Bluestone debitage on the surface. This would support the idea that the Bluestones arrived before the Sarsens and had been used and worked before they were removed from their holes to allow the erection of the Sarsens and the remodelling of Stonehenge and then put back in their present positions, plus or minus some further fine tuning.